Lots going on this Wednesday! Earn some free Starwood Preferred Guest Starpoints! We all love free points and miles, especially if it means you can save points in an account you don't use too often from expiring. Now I would think most of our readers have activity in their SPG accounts quite frequently but their may be some of you who just haven't had an SPG stay or points activity in the past 11 months or so who need to keep their account active. That's where a nice little offer like these 150 Free Starpoints come in handy! Last week we let you know about the transfer bonus from RBC Rewards to WestJet Rewards. We were incorrect in stating it was for Avion cardholders only, in fact it is open to all RBC Rewards members. "Just an FYI to those of you purchasing airfare and expecting to be covered by the lost/delayed baggage coverage. 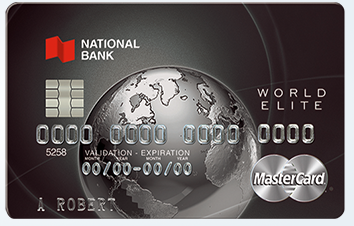 NBC's World Elite MasterCard is unique in that it requires the entire cost of both airfare AND accommodations for the entire duration of the trip to be paid with the card. If you are redeeming a hotel award, staying with relatives or following a travel itinerary that includes overnight stays not paid with the card, your claim will be denied. This happened to me when I redeemed hotel points for one night of my stay and used the NBC World Elite MasterCard to pay for the remaining 7 nights as well as the entire airfare. It is a very disingenuous way of touting a benefit without actually having to provide it as it will not really benefit many travelers. All other credit cards offering lost/delayed baggage coverage require payment using their respective card for the airfare only." We reached out to National Bank of Canada and they have confirmed this is the case with the baggage coverage. Ouch!!! If this is a coverage you use or expect to use (and we recommend you do as does provide exceptional value especially on the delay side) you may want to reconsider this card.